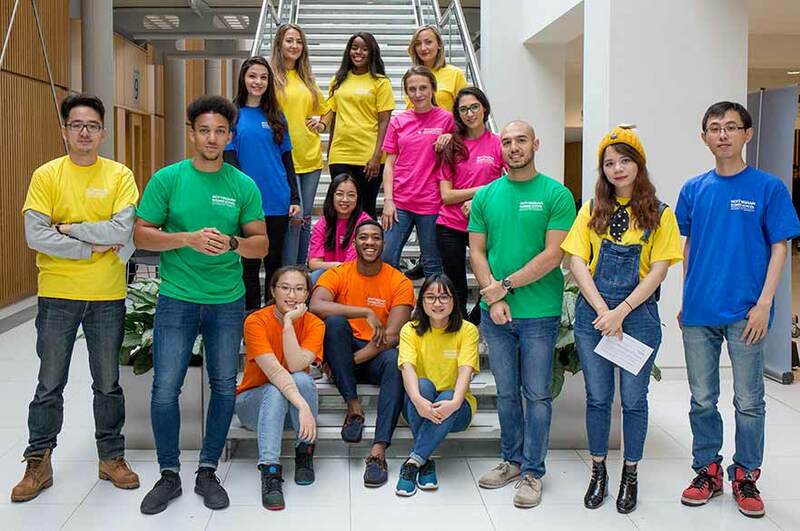 A total of 400 students from Nottingham Business School (NBS), at Nottingham Trent University, put their business knowledge into practice to help solve real-life challenges submitted by organisations. It was part of the university’s annual Thinkubator Challenge which saw business undergraduates, postgraduates and research students, split into thinking hubs to come up with solutions to 30 business challenges. During the event the groups were guided and supported by academic experts and NBS Alumni Fellows. To signify the start of Thinkubator 2017, Europe’s biggest gong was hit by Nottingham Trent Students’ Union President Martha Longdon. 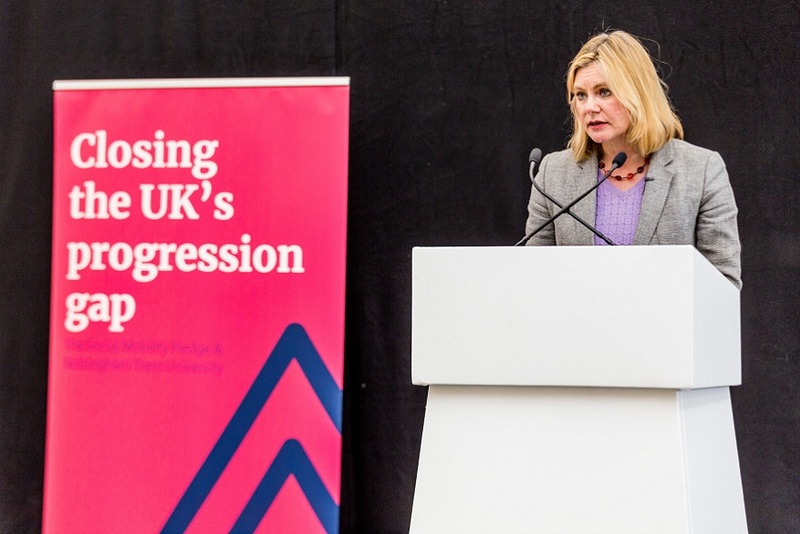 Opening speeches were also given by Nottingham Trent University’s Vice-Chancellor Professor Edward Peck and Dean of Nottingham Business School Professor Baback Yazdani. Organisations which took part in this year’s event ranged from charities, health and wellbeing companies, retail and marketing businesses. Rumbletums Cafe, based in Kimberly, was one of the organisations who took part in Thinkubator. Rumbletums is a training and work experience project for young people with learning disabilities. The registered charity offers work experience for people aged between 16-30 in its cafe’ ranging from catering, hospitality and customer service roles. The café came to Thinkubator because its future is uncertain. It needed ideas of how to get funding and how to plan for the future. The cafe’s lease is due to expire in two years and the owner wants to get rid of the building. This means Rumbletums must decide whether to buy the building or find new premises. And now the café has some new ideas on what to do next. Siobhan Drake, of Rumbletums said, :“I found Thinkubator very useful and beneficial because even though I had already thought of some of the suggestions the students gave me before, they made me think about the different routes I could take and they also gave me a lot of new ideas. The masterclass featured guest Alan Hardy, chairman and owner of Notts County FC, Paragon Interiors Group Plc and Nottinghamshire Golf and Country Club talking on ‘Entrepreneurial behaviour in an unpredictable world’. Professor Baback Yazdani, Dean of Nottingham Business School at Nottingham Trent University, said: “Thinkubator is an initiative which not only has proved to have very positive impact on the businesses that come to us for advice, but it also gives the highly sought after NBS students the chance to work on real-life situations and learn from the problems the business community is currently facing. Press enquiries please contact Sarah Mcleod, Press and Public Affairs Manager, on telephone +44 (0)115 848 8735, or via email. Nottingham Business School is internationally recognised as a business school which combines academic excellence with impact on business and society and is considered amongst the top 5% of the world’s business schools. 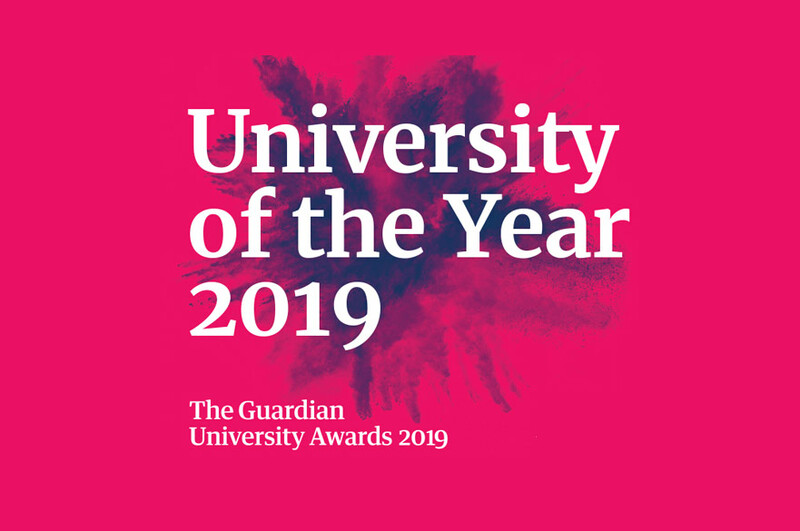 NBS is also amongst the top 30 UK schools by ranking according to Guardian University League Tables 2018, and amongst the top 20 for both graduate level employability (DLHE) and for student satisfaction (NSS) and as part of NTU holds the TEF Gold award. It holds international AASCB and EPAS accreditation, and has held 4* overall QS Stars rating since 2013, with 5* in five categories for the quality of its curriculum, teaching, research, business connectivity and international links. Its MSc in Management has been ranked by the Financial Times as the 93rd best Master in Management in the world (MiM). NBS courses are also accredited by all relevant chartered professional bodies. NBS is the leading business school in Europe for personalised and experiential learning. Each and every one of its 5,500 students has their learning experience increasingly tailored to their aspirations through the use of academic and industry mentors, analytics, and a comprehensive range of personal development and experiential learning opportunities. A leader in integrating experiential learning into the fabric of all courses at all levels, NBS’ pioneering in-company degrees benefit some 200 students through direct sponsorship by blue-chip companies.